Life for Lady Adelaide Bell was easier if she hid in her older sister's shadow--which worked until her sister got married. Even with thepressure of her socially ambitious mother, the last thing she expected was a marriage of convenience to save her previously spotless reputation. Lord Trent Hawthorne couldn't be happier that he is not the duke in the family. He's free to manage his small estate and take his time discovering the life he wants to lead, which includes grand plans of wooing and falling in love with the woman of his choice. When he finds himself honor bound to marry a woman he doesn't know, his dream of a marriage like his parents' seems lost forever. 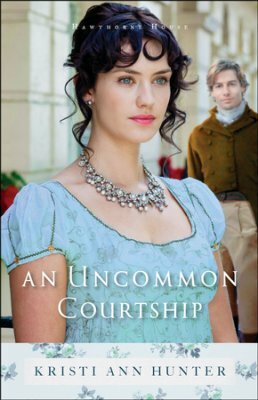 Already starting their marriage on shaky ground, can Adelaide and Trent's relationship survive the pressures of London society? Buy the book HERE. 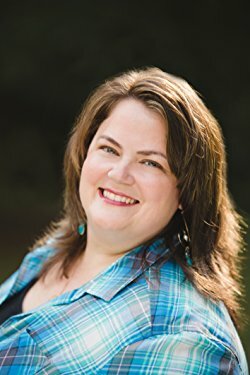 Kristi Ann Hunter graduated from Georgia Tech with a degree in Computer Science but always knew she wanted to write. In addition to several pre-published contests, Kristi is a Rita award winner and has also been a finalist in the INSPY, Christy, and GRW Maggie Award of Excellence. She lives with her husband and three children in Georgia. Find her online at www.kristiannhunter.com.